Oganes Oganesyan - California - Book a consultation instantly! Hovik Oganesyan is the principal and founder of Ness Law, Inc. Founded in July 2017, Ness Law specializes in all apsects of personal injury, lemon law and business litigation. Mr. Oganesyan had the distinct honor of being designated a California SuperLawyers Rising Star for 2018, a honor shared by only the top 2.5% of lawyers in Southern California. 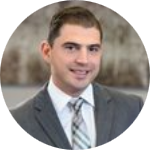 Hovik Oganesyan joined Keosian Berberian LLP as an associate in November 2013 until June 2017. He specialized in personal injury, with an emphasis on catastrophic injuries, products liability, premises liability and medical malpractice. Mr. Oganesyan is known and respected by his clients and colleagues for his straightforward and knowledgeable approach to all issues spanning across the civil litigation spectrum. Mr. Oganesyan approaches all aspects of litigation with diligence, endless candor and professionalism, and a deep desire to assist his client’s in satisfactory resolutions. Mr. Oganesyan received a Bachelor of Arts in Political Science from the University of California, Los Angeles, where he was on the Dean’s List. He earned his Juris Doctorate from Southwestern Law School, where he was a recipient of the Dean’s Merit Award as well as the Rosenberg Scholarship. During law school, he served as a Notes and Comments Editor of the Southwestern Journal of International Law and also worked as a Judicial Extern for Hon. Jacqueline Nguyen of the United States District Court, Central District of California. Mr. Oganesyan graduated within the top 15 percentile of his class in May 2012. Mr. Oganesyan is actively involved in local, statewide and national bar associations and public interest groups. Mr. Oganesyan is an active member of the Consumer Attorney’s Association of Los Angeles (CAALA). Additionally, Mr. Oganesyan is an active member of the Los Angeles County Bar Association and the Armenian Bar Association. Mr. Oganesyan is also an active Board Member of Southwestern Nickel Club, wherein he greatly enjoys the thrill of giving back to the University concurrently with providing a mentorship to current students.